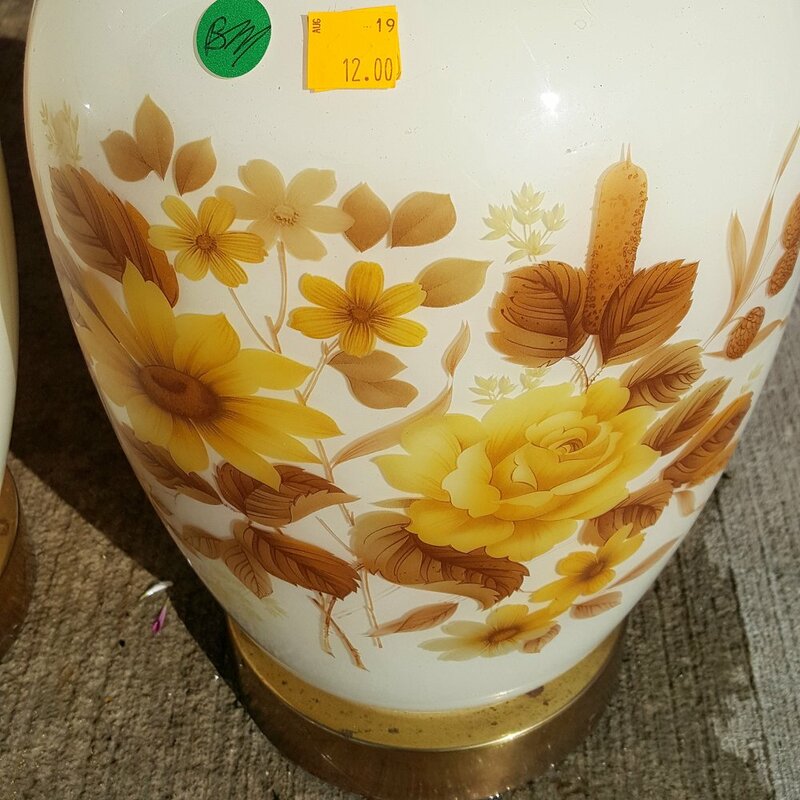 I couldn't get these lamps out of my mind and thought I might be able to create a similar (in no way as amazing as the original but ok for my home) look for less. After a quick and extremely lucky trip to our Orillia Habitat for Humanity Restore I found a pair over oversized lamps with brass bases that I thought could work. At just $12 each it was worth the risk! 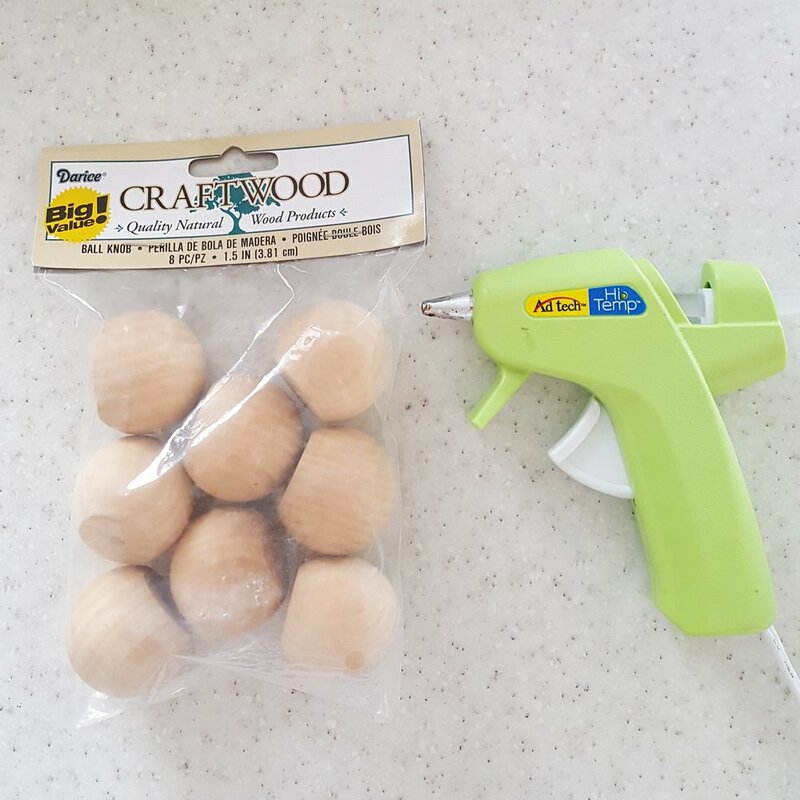 Step 3: Glue wood knobs onto lamp base using a glue gun. I placed wood knobs along the seams first and then eye-balled placement for the rest in an alternating pattern. A few fell off after a few hours so I reattached them using Gorilla Glue. Step 4: Tape off brass bases, cords and upper hardware to protect from spray paint. 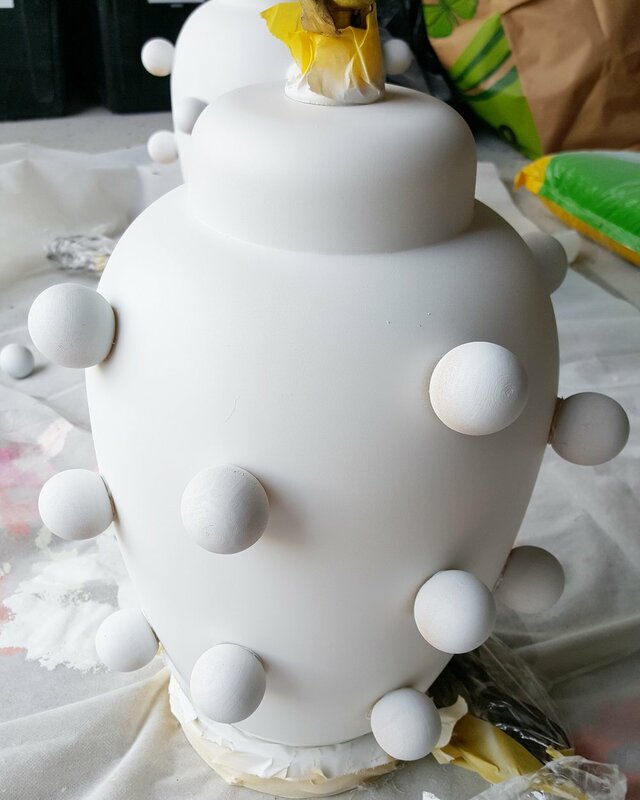 Step 5: Apply a few light coats of flat white spray paint in a well ventilated area. Steps 6/7/8: Remove painter's tape, replace harps, add a shade and voila! Our new (to us) living room lamps! 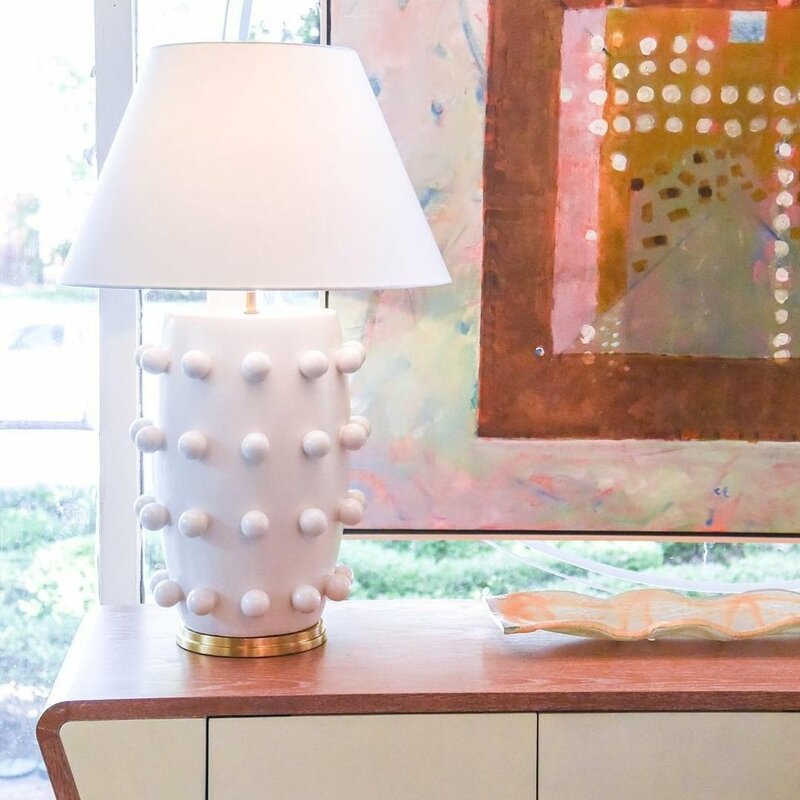 While these lamps will never be as amazing as the Kelly Wearstler originals, they were an inexpensive and easy weekend project and most importantly, my daughter Lily and I were able to use our glue guns together.